Guy on another board had a binding Shimano he was going to toss. Having a little experience with Shimbindo's, I said send it to me and I'll fix it and donate it to Hero's on the Water. 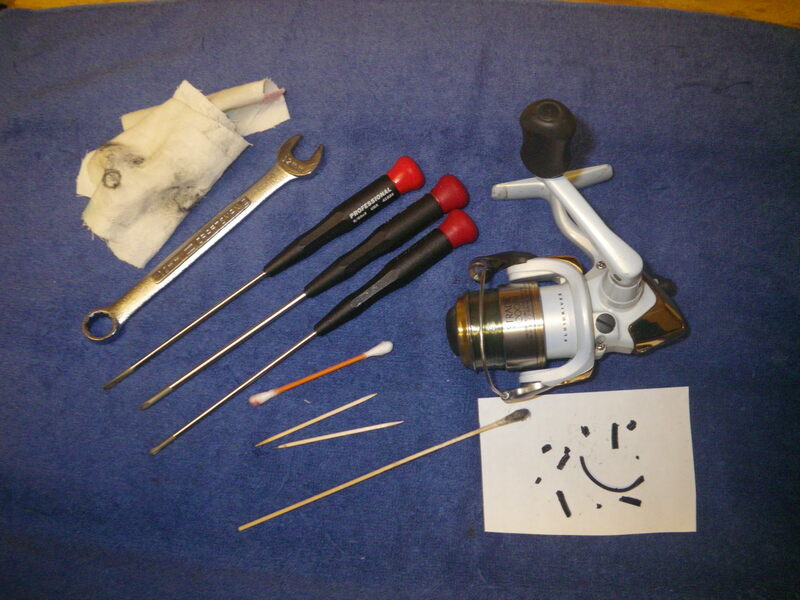 Reel's been sitting on my desk since last year, and since it's shrinkage cold outside, tore it apart. Can you see what the problem was? Wishing all, Tight Lines and Bent wriggling rods! The part on the paper was the friction ring between the bail holder & reel body. Dry rotted. My guess is that he left it in the car in the hot Atlanta sun. Nice reel for someone. I have a couple of those myself and they work really well. Good for you! That'll make some great American happy. Current time: 04-26-2019, 12:43 PM Powered By MyBB, © 2002-2019 MyBB Group.